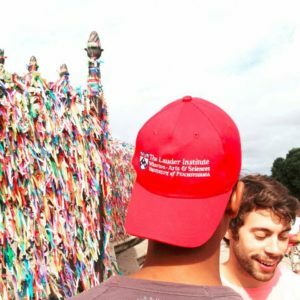 After a three-week stint in the Cidade Maravilhosa (Rio de Janeiro), the Portuguese track has been on the move, visiting both Brasilia and Salvador for a week, before arriving in Sao Paulo, where we will spend the last half of our summer immersion. A two-day trip to Brasilia, the nation’s capital since 1960, gave us a quick glimpse of the current political crisis in Brazil. Afterwards, in the historic city of Salvador, our group built on our understanding of the Brazilian history and society from our classes in May, and from our time in Rio, by visiting key sites such as the church of the Senhor do Bomfim or the Museum of Da Santa Misericórdia. The sites and activities shared a couple of key commonalities. Firstly, it was evident that the racial struggles in Brazil are still complex and affect many aspects of everyday life. In addition, the syncretism between Catholicism and Candomblé has developed a very rich culture in the city, as exemplified by our visit to a Ballet Folclórico and our discussions with the Ialorixa at the Candomblé Terreiro. Sao Paulo proved to be a drastic but welcome change from the beach life in Rio. The cosmopolitan and industrial characteristics here are clear. A visit to GranBio, a young company developing highly efficient genetically modified ethanol-producing sugar cane products, allowed us to understand how Sao Paulo acts as the headquarters for the massive agricultural sector in Brazil. Just outside of Sao Paulo, founders Gonçalo Pereira, Alan Hitner, and Wharton-alum Bernardo Gradin showed their plans to develop technology that could fundamentally disrupt the energy sector in Brazil and eventually global markets. The Portuguese Track would later spent a day visiting Porto de Santos, the largest port in Latin America. Brazil’s economy is highly dependent on commodities, thereby increasing the importance of the country’s infrastructure. Porto de Santos, despite its size, is known to routinely have dozens or hundreds of ships waiting in line. In June, Brazil’s federal government announced its plan to sell infrastructure projects to be built and operated by private sector firms. For Lauder students, it was fascinating to get an in-depth look at Porto de Santos, a major component in the country’s infrastructure pipeline. Despite the infrastructure challenges in Brazil, some savvy investors still manage to find niche areas in this sector that will offer generous returns that are not as exposed to political risk. One example, is the logistic infrastructure that supports the growth of the Brazilian consumer market. This sector is not as pegged to overall GDP and has enough demand, derived from inefficiencies and bottlenecks, to offer attractive opportunities to those able to supply quality projects. This is the case of Global Logistic Properties (GLP), a top global provider of modern logistic facilities. GLP is also the top developer and fund manager in this area in Brazil, with a focus on providing distribution parks for major consumer goods companies. Even with the current political, economic and social challenges in across the country, our experiences so far show that there are still plenty of business opportunities for those willing to invest in Brazil.